Enjoying a convenient location in the heart of Coorparoo this top floor apartment with modern conveniences is sure to impress. With easy access to Coorparoo Square with local shops, bars & cinema complex. Greenslopes Bus Station and the Stones Corner Shopping Precinct is also just minutes away. If you are looking for great value, with size, security & convenience this property will meet all your requirements. • Remote Secure entry to the carpark with private lock up garage. 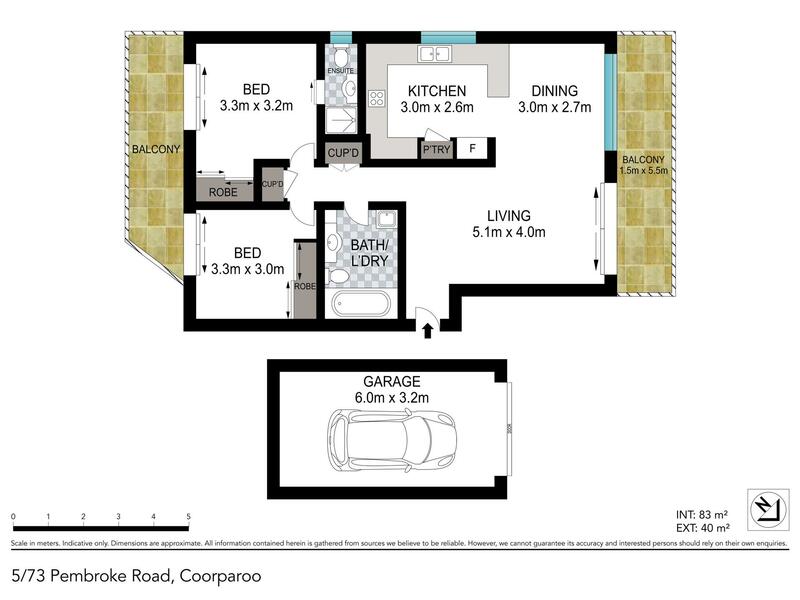 So whether you are an owner occupier or a savvy investor, this unit will tick a lot of boxes!